Full class schedule. Timetable commences Monday 10th September. New term commences Monday 4th September 2017! 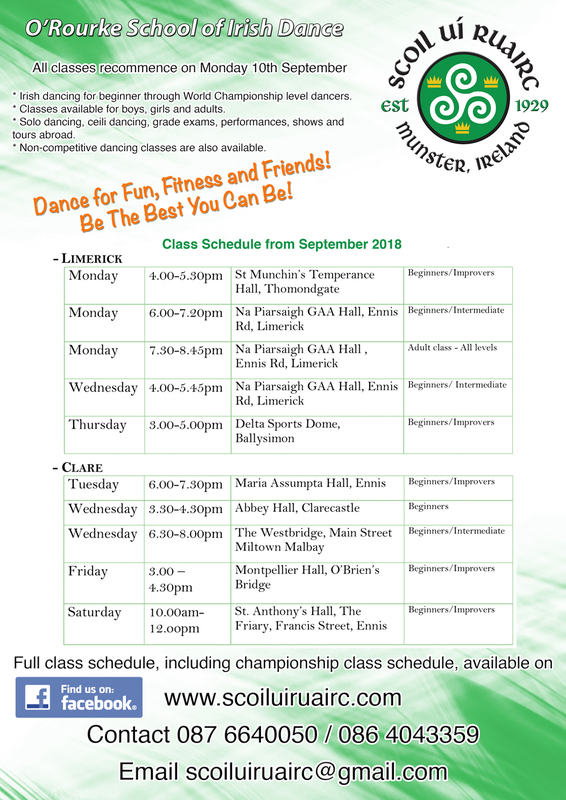 Classes throughout Limerick and Clare. Happy St. Patrick’s Day! Free taster sessions! Beannachtaí na Féile Pádraig Oraibh! 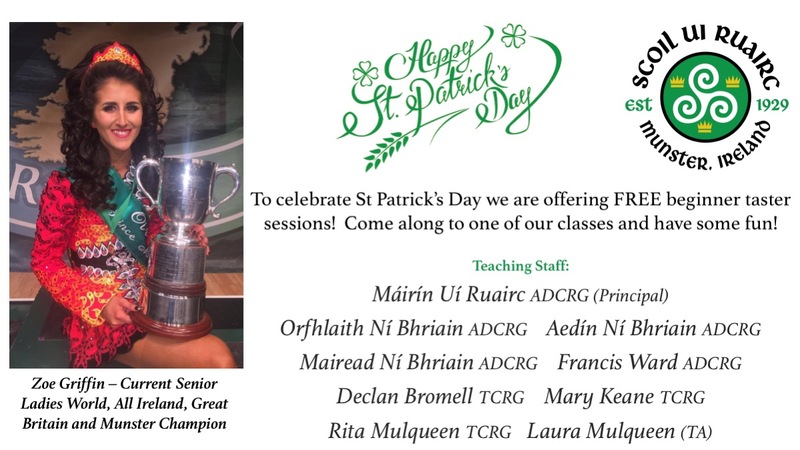 ☘️ Happy St Patrick’s Day ☘️ Free taster Irish dance classes for new beginners throughout Limerick and Clare! Special congrats to Scoil Uí Ruairc student Zoe Griffin, who is the current Senior Ladies World Champion! Zoe also won the All Ireland, Great Britain and Munster Championships in 2015 and 2016.